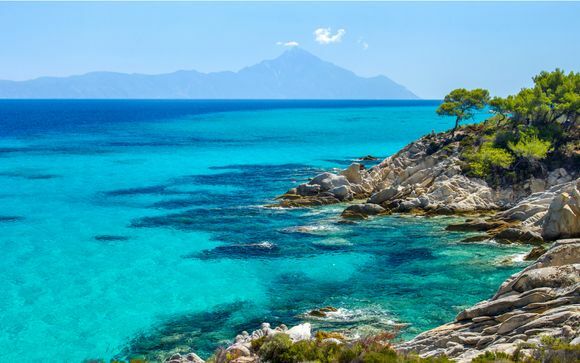 Take your family on a fabulous all-inclusive holiday to Greece up to -70% off To take advantage of these offers, join now for free! Greece is the sun-kissed Mediterranean destination that is bursting with amazing things to do and sights to see. As ancient ruins pierce the blue skies alongside the endless coastline on offer, you'll experience Greek culture at its finest with inspired cuisine, passionate music, and thrill-seeking activities. For those who are in search of a completely stress-free holiday, an all inclusive holiday to Greece is the perfect option. There is no need to worry about spending money, as all your delicious food and local drinks are included in the price. Greece is the predominant choice for many people due to the beautiful weather, friendly locals, and the islands' exquisite beaches. Picture long stretches of sand, with hidden coves for those who simply want to escape and get away from it all. With a unique historical past coupled with brilliantly preserved ancient Greek ruins, Greece can transport you back to bygone eras. Then when you return to your all inclusive Greece hotel, you'll be transported back to luxury. Leave the hard work to us and book an all-inclusive luxury holiday to Greece, with up to 70% off.Greece is the perfect choice for your family holiday this year. There’s something in Greece for everyone, no matter what your age or interests. Beautiful sandy beaches and crystalline waters abound and only a stone’s throw away are some of the world’s finest ancient artefacts and historical structures, as well as a cosmopolitan and bustling atmosphere in the bigger towns and cities. Opt for a luxury family resort and have all your needs taken care of while still being close to popular attractions. If you go all inclusive, you won’t have to worry about meals and drinks but you’ll still need to pay for day trips, experiences and events. 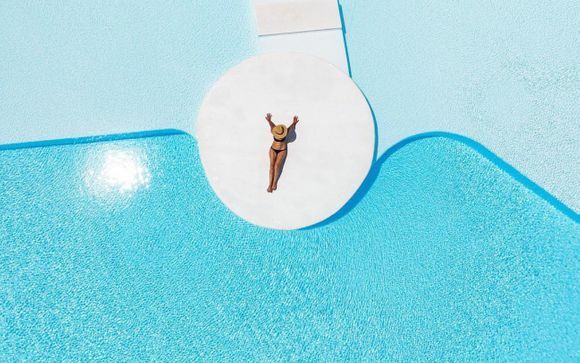 If you sign up on our website, we’ll immediately identify and personalise deals to suit you, saving you up to 70% on your holiday. We think Greece is the perfect spot for those in search of family-friendly holidays at the resorts of Rhodes and Crete, or romantic getaways in beautiful picture-perfect Santorini. It's also a brilliant choice for party-animals in search of endless fun with the resorts of Zante and Kos. With consistent stretches of sun-kissed beaches combined with historical dreams, Greece is the perfect blend of beauty, culture and relaxation. 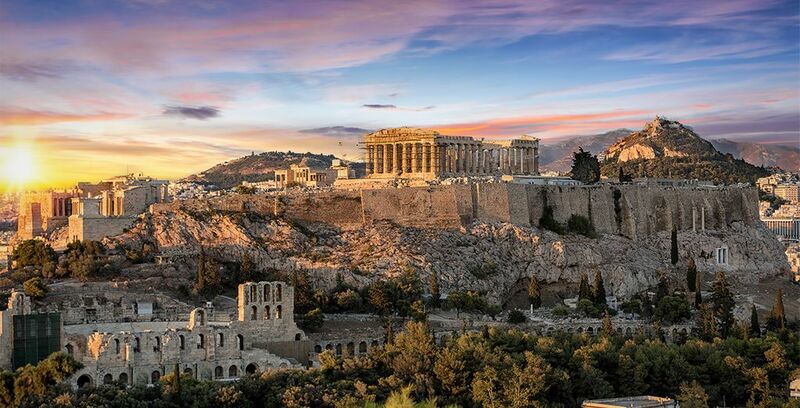 A visit to Athens is always a cultural delight and a trip to the Acropolis is essential as it's considered the most important ancient site in all of the Western world. It towers over beautiful and historic Athens, visible from almost everywhere within the city, and at night it lights up, bringing a beautiful focus to the city. Wander during the day and discover ancient history, then dine at night with a view of the site for a stunning backdrop. These cliffs have provided an area of protection for those who seek spiritual contemplation for a very long time. They are part man-made marvel and part natural wonder, and now declared a UNESCO World Heritage Site. It's said that the first hermit monks lived up in the caves, but then over time another 24 Byzantine monasteries were built on top of the rock. 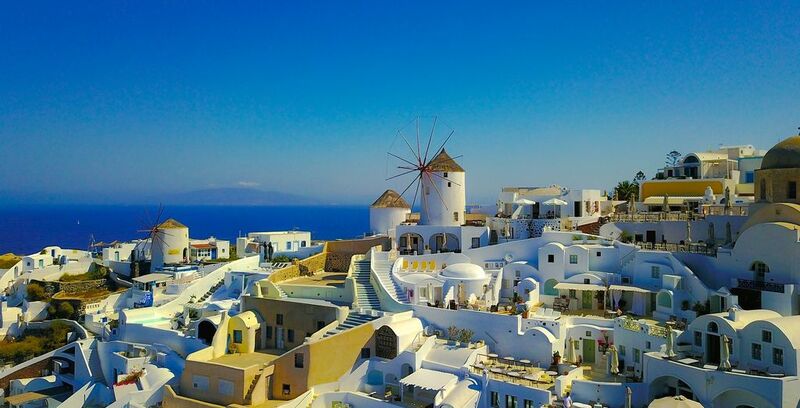 If you want the ultimate romantic destination in one of the most picturesque places in the world, then you can't miss the chance to explore Santorini. Catching a sunset over the blue washed houses is one of life's delights. You can also take the opportunity to visit the Santorini volcano. This actually refers to two separate peaks; the first, Thira, exploded around 1600 BC. Then more eruptions formed the second of the volcanoes of Santorini—the island of Nea Kameni, which is a popular site for those visitors eager to hike to the edge of the active crater. There is even a chance to relax in the hot springs that have formed as a result of the volcano. This is known as Greece's most glamorous island and after-dark activities focus around on Mykonos Town. It's bursting with classy seafood restaurants, chic boutique hotels, and live music venues. Other attractions include numerous opportunities for beach days with sandy beaches along the south coast, and Paraportiani (a whitewashed church in the town). Located 180 kilometers northwest of Athens on the Greek mainland, Delphi is an amazing UNESCO World Heritage site. It was constructed on the lower slopes of Mount Parnassus, which overlook a dramatic ravine. It's made up of the crumbling ruins of a theatre, numerous temples, and a stadium, which date back to the 8th century BC and the 2nd century AD- impressive! A holiday to Greece should be done in style, so check out these all inclusive Greece options we have on offer today. 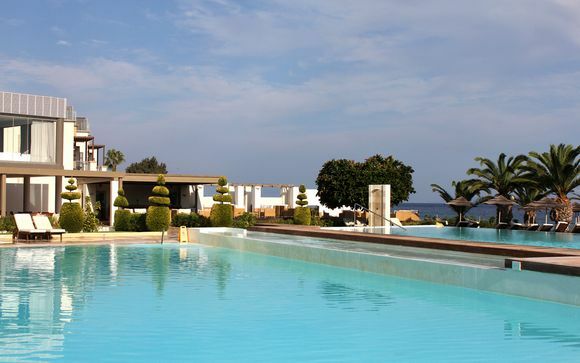 The Kresten Royal Villas & Spa is the perfect base for a luxurious Rhodes escape on an all inclusive Greece holiday. It provides you with stunning views of the Aegean sea and a complimentary massage so you can really unwind. 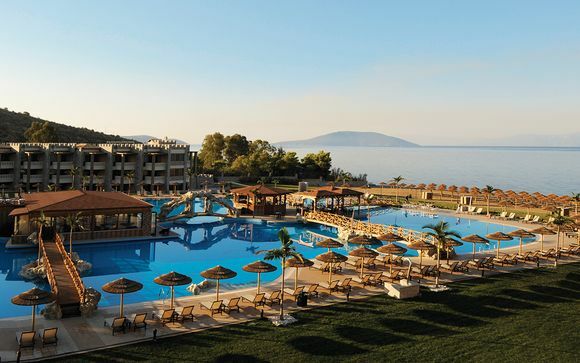 This luxurious 5 star all inclusive resort will set you up for the best holiday to Greece. With exceptional style, charm and architecture, this hotel is the perfect hideaway to combine the finest cuisine with elegant accommodation. 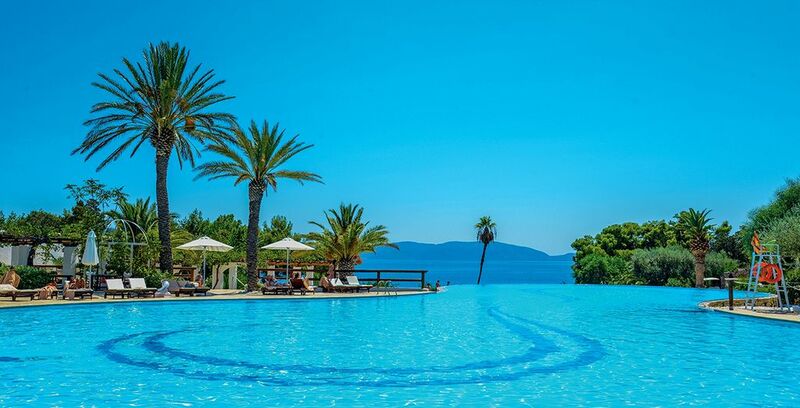 Escape to a romantic all inclusive stay at the Barcelo Hydra Beach 5*. Crystal clear, calm waters, soft, sandy beaches and delightful hospitality all await you. Your booking includes car hire, giving you easy access to explore all of the wonderful sights on offer. There is even complimentary spa access for the ultimate relaxing getaway. 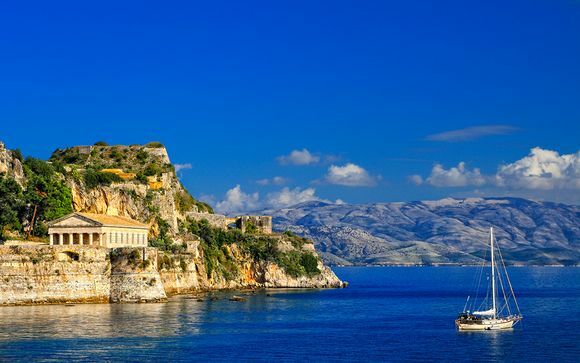 Greece is bursting with sunshine which is why it's such a popular summer destination. The climate of Greece is Mediterranean with summers that are typically dry and hot, but the winters can become quite wet. July and August temperatures can reach 30 to 35°C, but sometimes even 40°C or more. So remember to pack plenty of sun cream! What budget should I plan for Greece? Your final budget for Greece will generally depend on your level of living and the number of activities you wish to participate in. As a general guide, you should budget around £100-130 a day. You could spend less or more, but remember Voyage Prive will provide you with great deals on your accommodation, so you can save your money for sightseeing and culinary delights. A holiday to Greece wouldn’t be complete without a trip to magnificent Athens(weekends, great deals, holidays). Spend the day soaking up history by exploring the Parthenon and the Acropolis then go to one of the local street vendors for a gyro, slithers of meat cut off a larger skewer and stuffed into pita bread along with tomatoes, onions, lettuce and a Greek yoghurt sauce called tzatziki. These are delicious and cheap and make the perfect quick snack during a busy day of sightseeing. 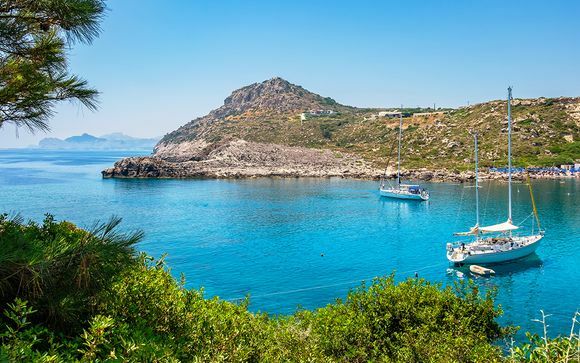 If you fancy some downtime, why not visit the island of Kythira, one of the smaller Greek islands at the end of the Peloponnese peninsula? 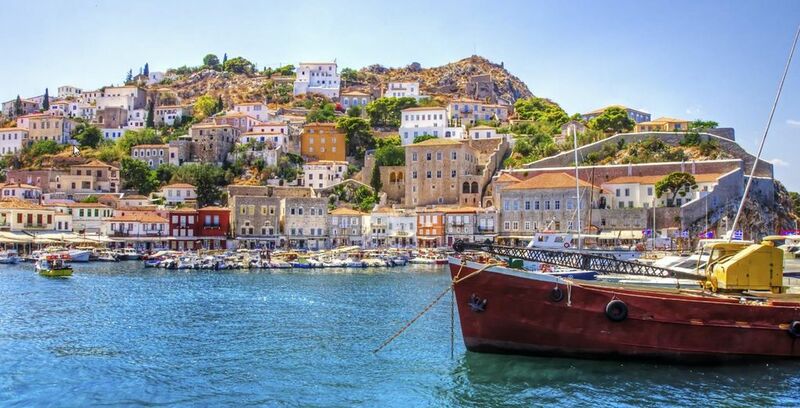 Sail directly from Athens into the island’s picturesque port, unspoiled by modern development and adorned with traditional fishing cottages. There are over 30 golden beaches on Kythira, but you should head inwards instead and explore some of the gorges, as there are natural pools and waterfalls dotted about - all very popular with swimmers in the summer. Booking a holiday the whole family will enjoy can seem like a daunting task. We know it’s a nightmare trying to book a hotel, flights, transport and find restaurants that cater to everyone’s taste, so if it all just seems too stressful and you find sitting at home in the rain more appealing than going through that ordeal, book all inclusive. Instead of spending hours doing research just to end up in a hotel that looks like a building site, we’ll take care of all the details so all you have to do is turn up and enjoy yourself. Our experts handpick 4 and 5 star luxury hotels with gourmet food, in the world’s most beautiful locations at a massive discount, letting you save up to 70% on luxury, all-inclusive sun holidays. 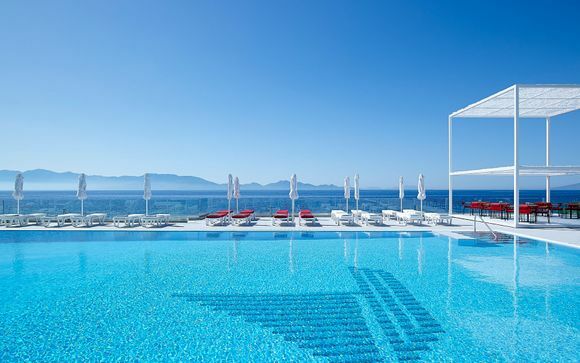 If you want to make your all-inclusive holiday to Greece even better, sign up for access to exclusive discounts of up to 70% off and the best four and five star luxury hotels handpicked by our travel specialists.